MINNEAPOLIS, Minn. -- Prince's sister believes the superstar musician didn't have a will and asked a Minnesota court to appoint a special administrator to oversee his multimillion-dollar estate, according to court documents filed Tuesday that could signal a looming fight over Prince's assets. Tyka Nelson, Prince's only surviving full sibling, said in a court filing that immediate action was necessary to manage Prince's business interests following his death last week. The documents don't estimate how much his estate may be worth, but Prince made hundreds of millions of dollars for record companies, concert venues and others. Prince died Thursday at his famous Paisley Park complex in suburban Minneapolis, and he owned a dozen properties around the area, mostly rural land and some houses for relatives, worth about $27 million, according to public records. 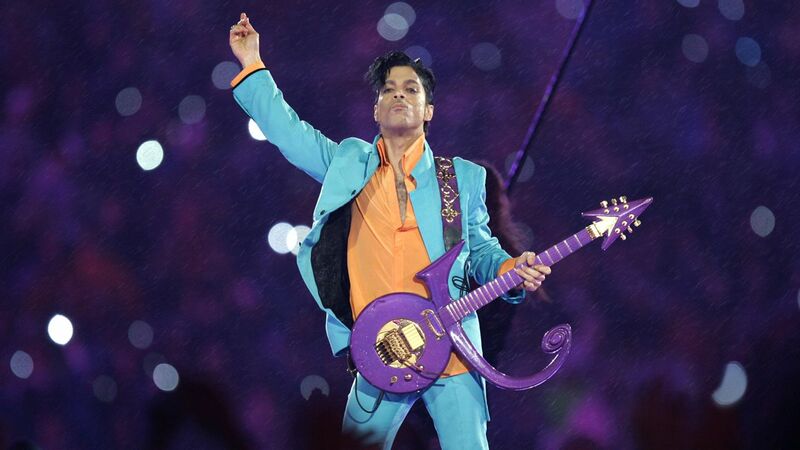 But estimates of how much licensing his personal brand will bring in after his death reach to the purple clouds. The outpouring of grief and nostalgia prompted fans to buy 2.3 million of his songs in just three days. If he left no will or trust, divvying up his fortune could get complicated, said Susan Link, a top Minnesota probate lawyer. Link, who isn't involved in the case, said attorneys will need to get Prince's siblings to agree on asset distribution, and that it could get extremely complicated if they don't. "They will try to set the family down," said Link, head of the estate planning group at the Maslon LLP law firm. "They're not going to try to light the match and get a big fire going and get everybody fighting about this." Mark Roesler, chief executive of CMG Worldwide, which handles licensing for the estates of Marilyn Monroe, James Dean and other late stars, estimates that Prince's post-mortem earnings could match top-earning dead celebrities like Elvis Presley, whose estate made $55 million in 2015, according to Forbes magazine. "He was as big as they get," Roesler told The Associated Press late last week. "Will there be a business built up around Prince 60 years from now like James Dean? The answer is unequivocally, 'yes.'" Nelson's court filing Tuesday said she had "no reason to believe" that Prince executed a will or any other documents saying what should happen to his estate upon his death. Nelson said she doesn't know her brother's assets or debts, but said he had "substantial assets" that require protection. Nelson's attorneys didn't immediately return phone calls seeking comment Tuesday. Irwin Feinberg, a Los Angeles trust and probate lawyer who spoke to the AP before Nelson's filing, said wealthy people usually create trusts to avoid the public spectacle of probate court. He said it would be unusual for Prince not to have done so. Under Minnesota law, if a person dies without a will - and with no surviving parents, children, or grandchildren - the next people in line to share in the estate are the surviving siblings, including half-siblings. Prince wasn't married and had no known living children. Nelson is his only full sibling, though he has five half-siblings (two other half-siblings have died). The AP did not find liens or mortgages on any of his Minnesota properties, which range from a sprawling 160-acre piece of grassland between Lake Lucy and Lake Ann, to a three-bedroom bungalow in Minneapolis where his half-brother Omarr Baker lives. Prince sold more than 100 million albums on his lifetime, according to Warner Music Group. And Pollstar, a concert industry magazine, said that in the years that his tours topped the charts - 10 years over four decades performing - the tours raked in $225 million in ticket sales. His best-earning touring year, when he took in $87.4 million, was 2004, the year he was inducted into the Rock and Roll Hall of Fame and two decades after the soundtrack to "Purple Rain" went multi-platinum. But what remained in Prince's hands is, by any estimate, less than the sum of ticket and album sales. In every record deal, a cut goes to the label, background performers and music publishers, though Prince published and wrote his own songs. Concert ticket revenue is split among the venue, the promoter, staff and the travel costs. And Prince was known to throw expensive parties. Court fights in recent years suggest money wasn't free flowing. In April 2013, Prince lost a lawsuit filed in New York State's Supreme Court brought by perfume maker Revelations Perfume and Cosmetics Inc. for failing to promote the "3121" perfume line named after his 2006 album. He touted the product once, during a massive concert in July 2007 in downtown Minneapolis that ended at 5 a.m. at the First Avenue club, a famous venue from "Purple Rain." He was ordered to pay $4.4 million, but never did. Instead, plaintiff lawyers went searching for assets, found about $3 million in various Minnesota bank accounts and used court orders to freeze them, according to Brian Slipakoff, a lawyer who represented the perfume maker. Prince later settled for a lower amount. "It doesn't suggest there was oodles of cash lying around," Slipakoff said last week. Prince encountered tax difficulties several times, including owing back taxes to France in 2012, which he paid up, and overdue property taxes around $450,000 in 2010. In 2013, the IRS filed a federal tax lien against him in Carver County Court in Minnesota for $1.6 million. What happened with that case is unclear.